Remember the buzz? 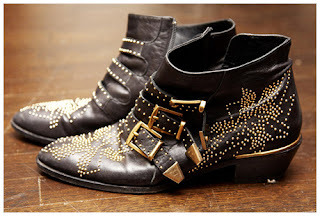 This Pre-Fall 2008 Chloé studded ankle boots have created a hype among the fashion community years ago, and now it's back! 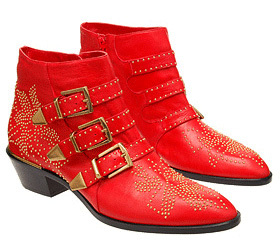 The French brand announced that they will relaunch the popular boots in their upcoming cruise collection. 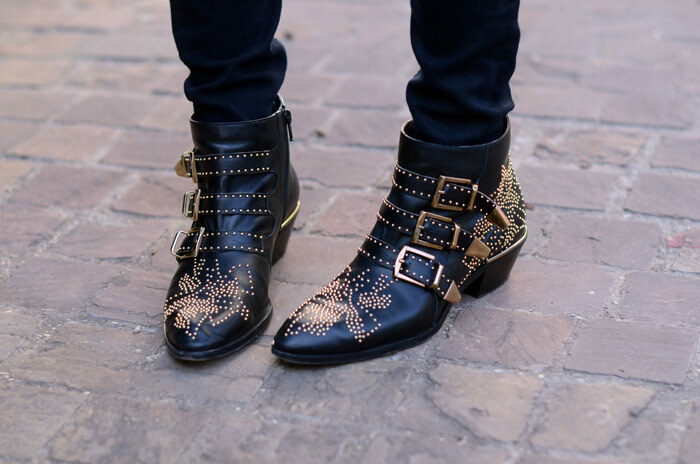 Since its initial release, the ankle boots with its extravagant appearance has steadily grown its fame and became a must-have for many fashionista (Sienna Miller and Kate Bosworth wear them on a regular basis). It was released in an array of colours such as red, white, green, and black. I love the black boots the most! I think gold on black provides the best contrast that brings the gold tone alive. The price itself is a bit steep at more than a grand. You can get it online here. 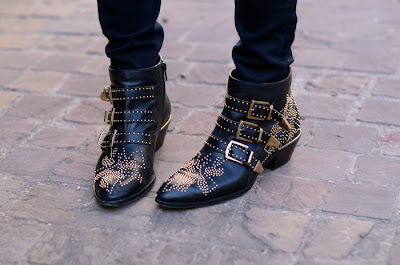 Here's a picture of Chiara wearing the boots, an author of The Blonde salad one of the most amazing fashion blog I've ever encountered. Doesn't she look stunning? Another enchanting street style from Fatalwho. The variety of colours offered by Chloé. Which one is more you? Me, black first and red second. It's fiery, but it looks impressive. Red makes you really stand out, don't you think so?